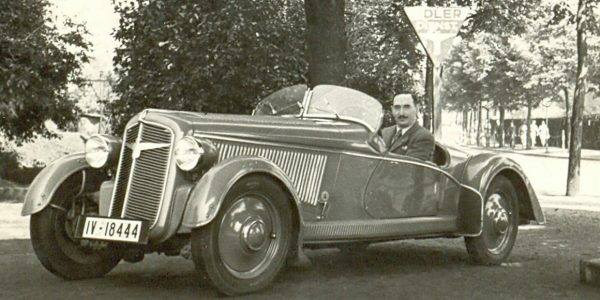 A man, a name: Walter Hengst As to whether it was fate or a simple coincidence that the very name of Hengst (German for Stallion) builds a bridge between horse power, engines, oil and fuel filters, has been philosophized about for over half a century now. More precisely since 1958, when Walter Hengst set up his Ing. Walter Hengst KG in Münster, Germany. Thus, he laid the foundations for the eventful and successful development of a company which is now under the management of his grandson, Jens Röttgering and under its new name of Hengst SE. Founded during a time of many new beginnings and new developments, the company kept pace with the swiftly developing and fast-growing automotive industry and its continuously increasing requirements for filter products. This was the core business back then and it still is today. We are devoted to this vision together with all of our innovative power. As a family enterprise, our thoughts and actions are characterized by a responsibility to handle resources carefully and by the challenge of making engines, machines and systems cleaner and more efficient with future-oriented filtration solutions, and thus sustainably improving the environment we live in. Our innovative power and the unique combination of a dynamic start-up culture with professional organizational structures make us the most attractive and successful partner on the market. As a company, not only is our innovative technology impressive, so too is our trustworthy and collaborative partnership with our customers all over the world. This is because “work smarter” means a responsibility and a passion for the highest product quality, appreciation and respect in personal dialogue, lean organizational structures and operational excellence. “Work smarter” is therefore more than just a promise of performance. It is our brand message to our partners in the industry, trade and workshop, as well as a strong basis for forging our shared success with intelligent ideas and intelligent solutions, both today and in the future. WE LEAD THE WORLD IN FILTRATION, MAKING OUR PLANET A PURER PLACE. Advantages our oil filters offer you: High contaminant Retention | Pressure and temperature resistance | Precise processing | Precision fit for easy assembly | Pulse resistance Higher performance and less wear: Hengst oil filters clean the oil circuit of contaminants efficiently and are particularly robust, durable, and service-friendly. Modern combustion engines have to do more and more – and therefore should always be well lubricated. Depending on the application, several hundred liters of oil are pumped through the motor circuit every minute to reduce friction on moving parts and prevent premature wear of pistons, connecting rod bearings, etc. This process depends not only on the quality of the lubricant, but also on the performance of the oil filter. Even under the most demanding conditions, our Energetic® filter inserts ensure optimal filtration, maximum flow, and longevity. A special service advantage: they can be changed easily, quickly, and cleanly. Only the insert has to be replaced, which takes only a few simple steps – a boon for the environment as well, as the volume of waste produced through maintenance is reduced sustainably. Peak pressure of up to 15 bar | Maximum cleaning level | State-of-the-art filtration materials | Longer intervals between changes | Protection of injectors and engine | Immune to aggressive fuels Without clean fuel, nothing runs: Hengst fuel filters maintain the operational safety of the engine and protect the injection system from contamination. Injection systems for modern petrol and diesel engines are sensitive to the smallest fuel impurities. Studies show that the quantity of dirt particles in fuels recommended by international associations is often significantly exceeded. If the fuel filter is not changed according to the prescribed cycle, the injection systems can become clogged and operational safety impaired. Hengst filters retain their first-class filtration effect over particularly long intervals. 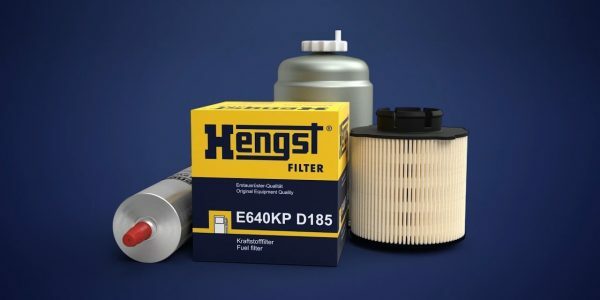 Longer operational life | 100% leak-proof | Flame-retardant filter media | High-quality waterproofing | Maximum filter stability This allows the engine to breathe: Hengst quality air filters protect engines and electronic components by cleaning the intake air efficiently and reliably. The air filter is one of the most important filters in both gasoline and diesel engines. Depending on performance levels, a commercial vehicle engine draws up to 2,400 m³ of air per hour, with a particle content of up to 50 mg/m³. 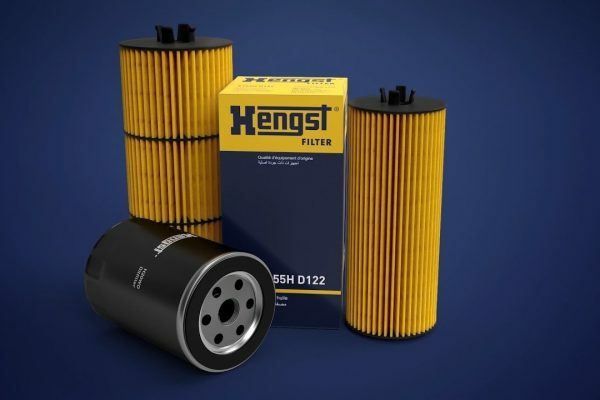 Hengst quality filters permanently remove foreign particles from intake air and maintain safe and long-lasting engine performance. In addition, they ensure optimum fuel-air mixture levels and thus ensure the best possible combustion. Advantages our cabin filters offer you: Healthy air in vehicle interiors | Consistent filtration performance | Prevents the build-up of condensation | Minimizes bad odors | Quick and easy installation An ideal atmosphere, without exhaust gases, dust, pollen, etc. 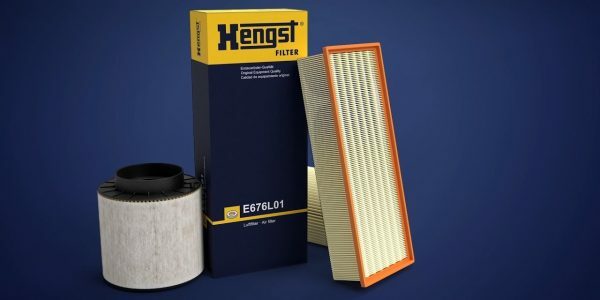 : Hengst cabin filters ensure a healthy and hygienic atmosphere in the vehicle and thus enhance drivers’ ability to concentrate. Regularly changing the cabin filter is necessary to ensure permanent functionality of the air conditioning system. The rule of thumb is at least once a year, and many drivers change them twice a year. This not only protects the air quality in the vehicle, but also reduces flow resistance and thus the load on the fan motor. Hengst cabin filters filter approximately 100 percent of pollen, dust, other allergens, and odors such as exhaust gases out of the air. This ensures a hygienic atmosphere in the vehicle and helps the driver remain alert and concentrated. The right filter for every model Get five times the protection for pure and healthy air in your vehicle now! Blue.care cabin air filters are available for all leading vehicle manufacturers and almost all current series production models. Just ask your shop! The professionals there will be happy to tell you about the advantages of changing your cabin air filter regularly. Advantages our special filters offer you: Comprehensive product range for special applications | Operational life and performance of motors are lastingly optimized | Increased operational safety of vehicles | Effective motor protection with special separators or pre-filter solutions Everything from a single source: in addition to traditional filtration applications, we also offer a wide range of other vehicle service products in the famously high Hengst quality. Our comprehensive product range includes tailor-made solutions for a wide array of special applications. Centrifuges: oil filter centrifuges are often used in the commercial vehicle sector as well as in agricultural and construction machinery. They operate in bypass flow parallel to the main filter. Oil mist separators: oil mist separators separate blow-by gases from the engine crankcase. Cold water filters: cold water filters provide optimum protection for engine cooling. Brake air dryers: compressed air is kept free of moisture by a special granulate. In addition, we supply transmission oil filters, manual pumps, urea filters, hydraulic oil filters, screw caps, service parts, strainer filters, and much more. Fuel filter and special applications.